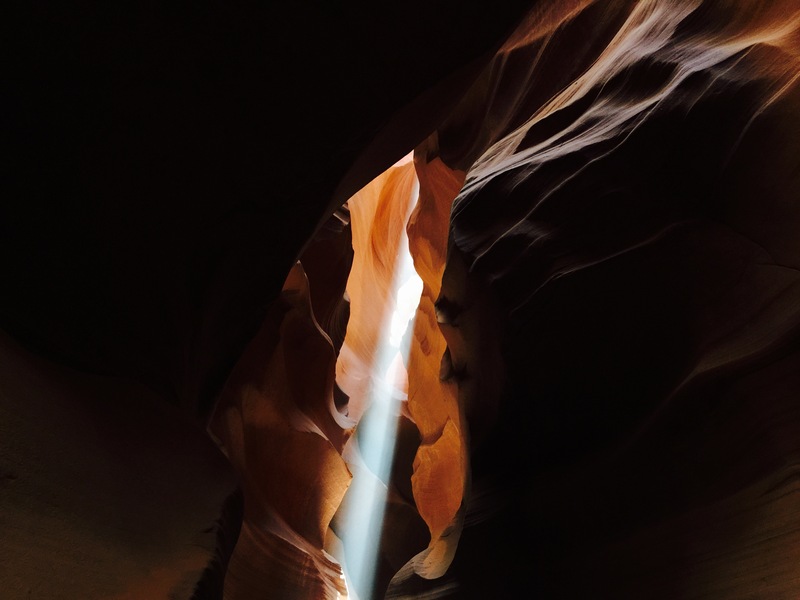 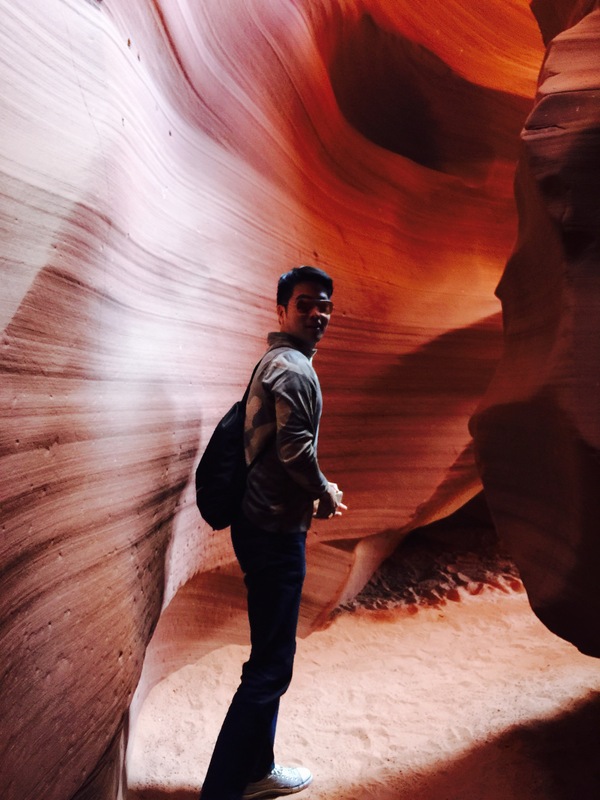 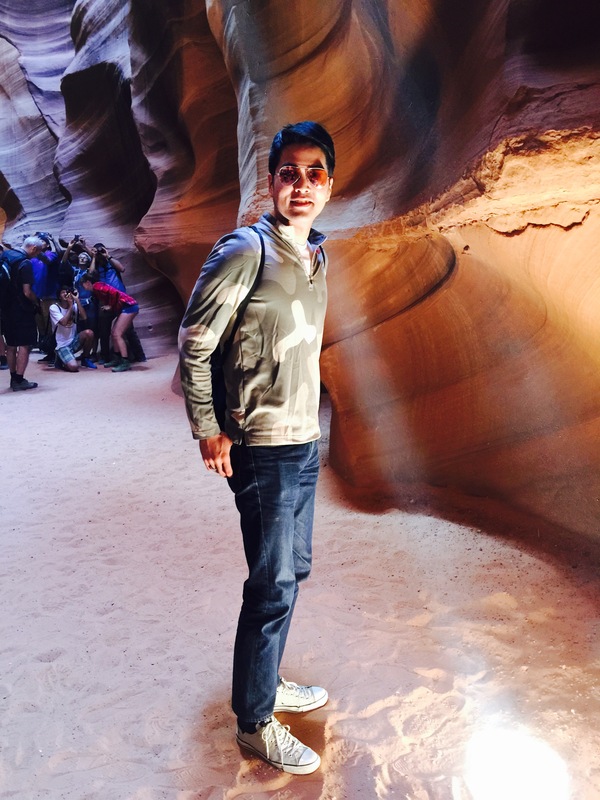 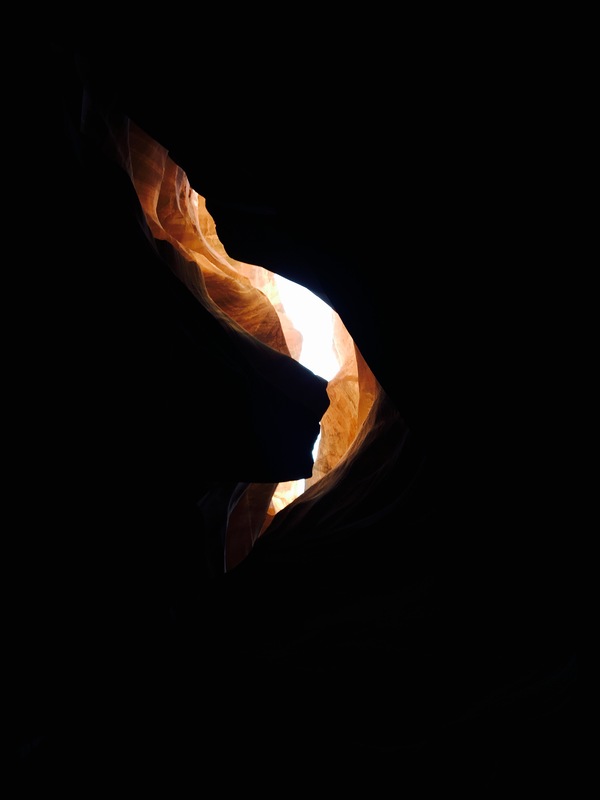 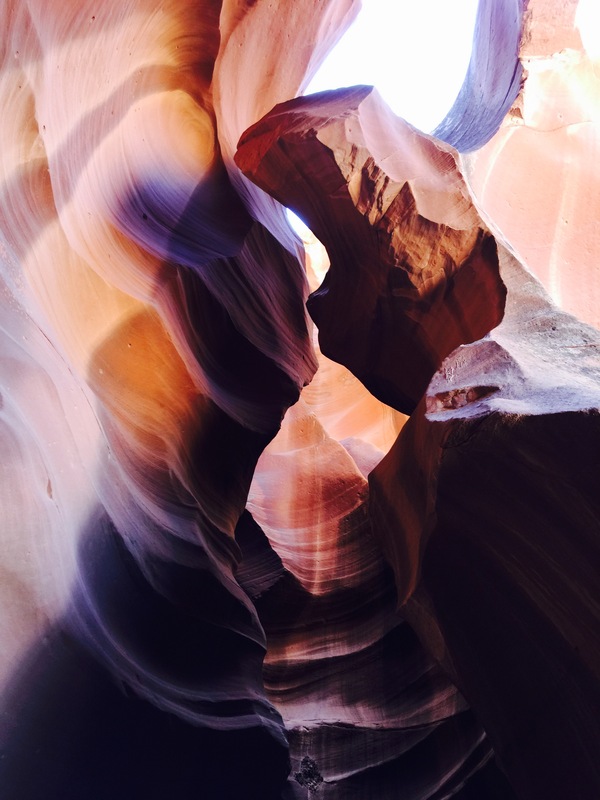 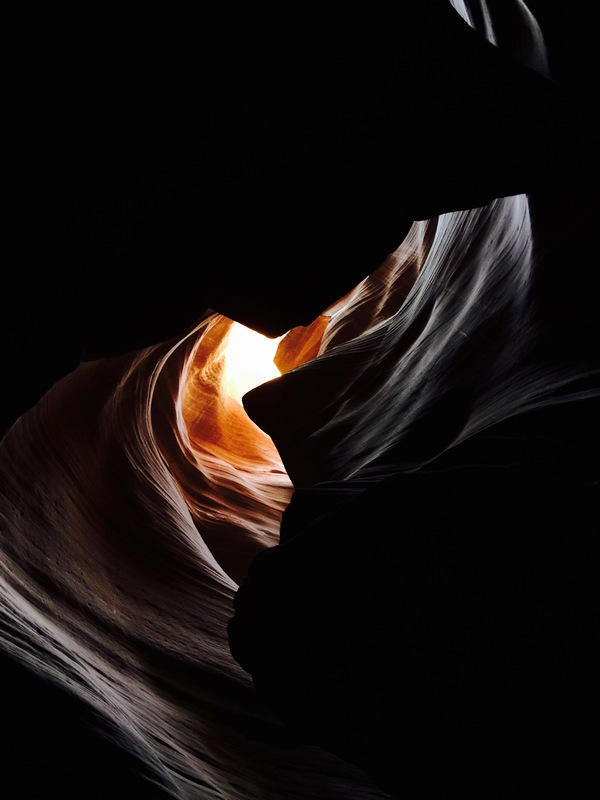 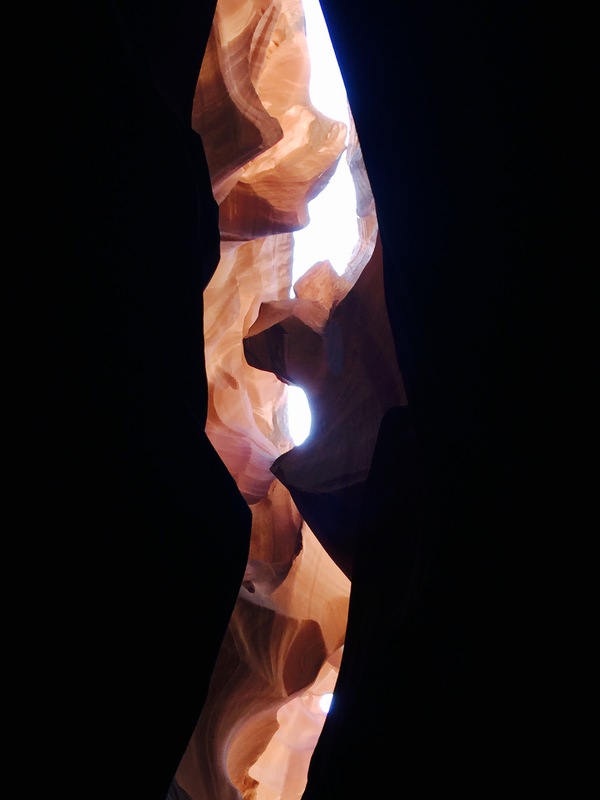 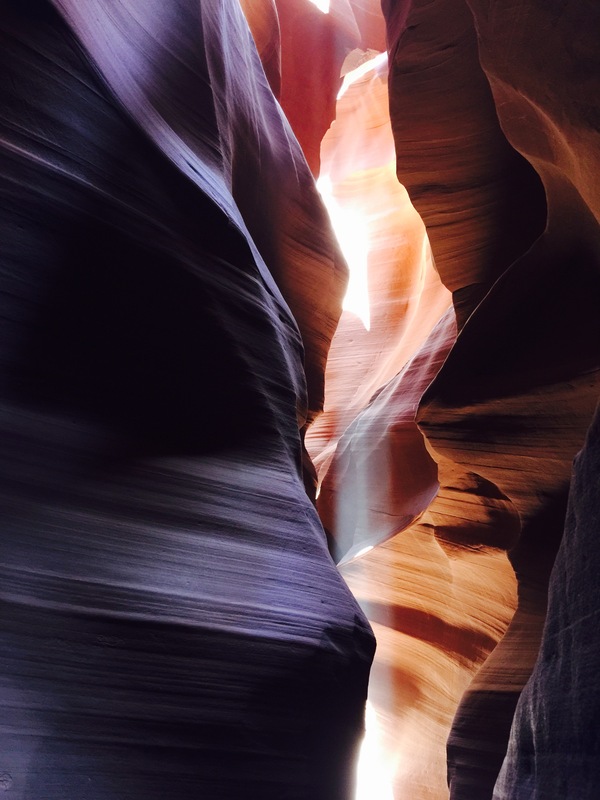 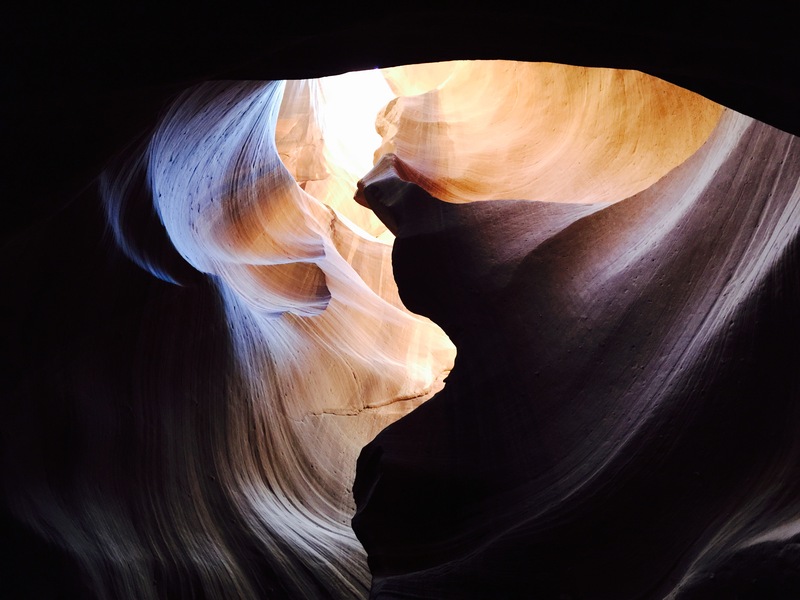 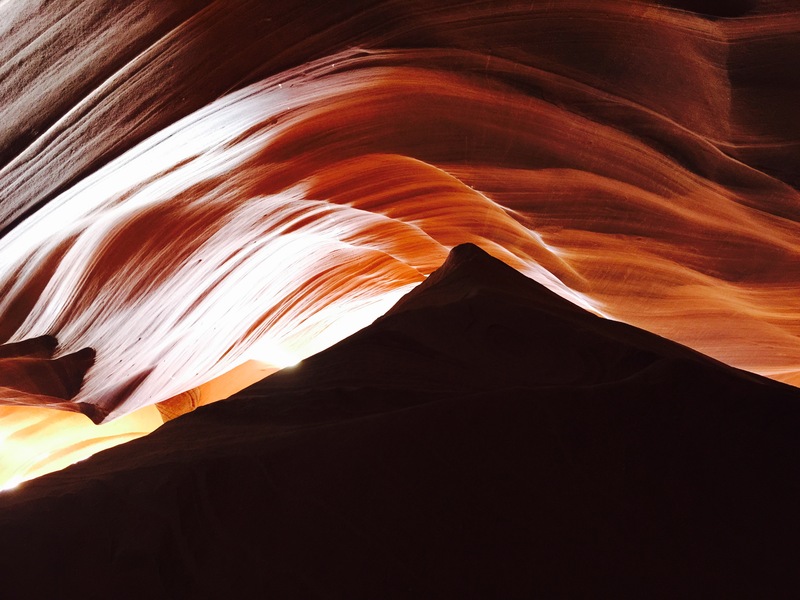 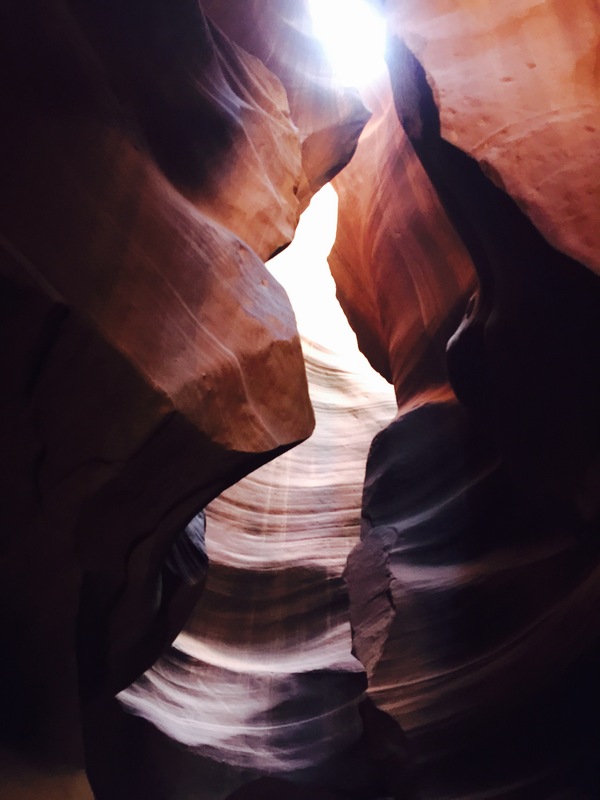 Antelope Canyon is a slot canyon in Navajo territory. 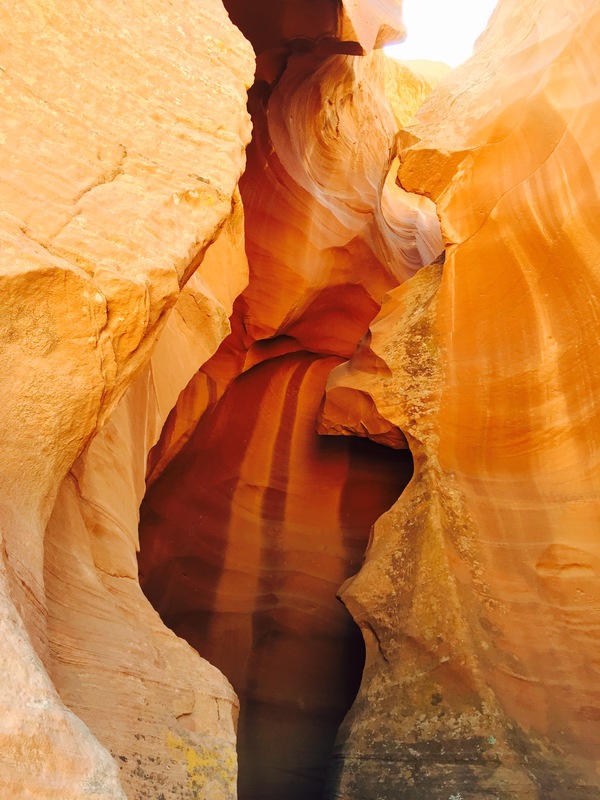 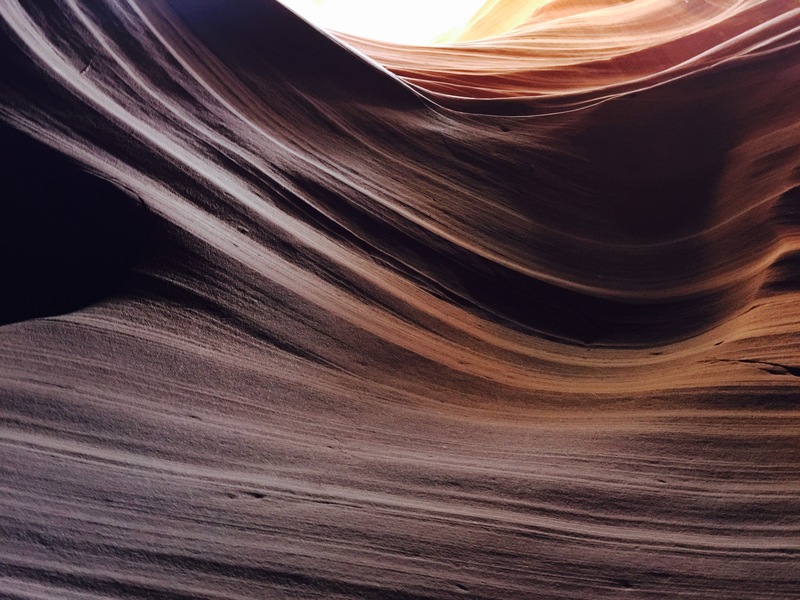 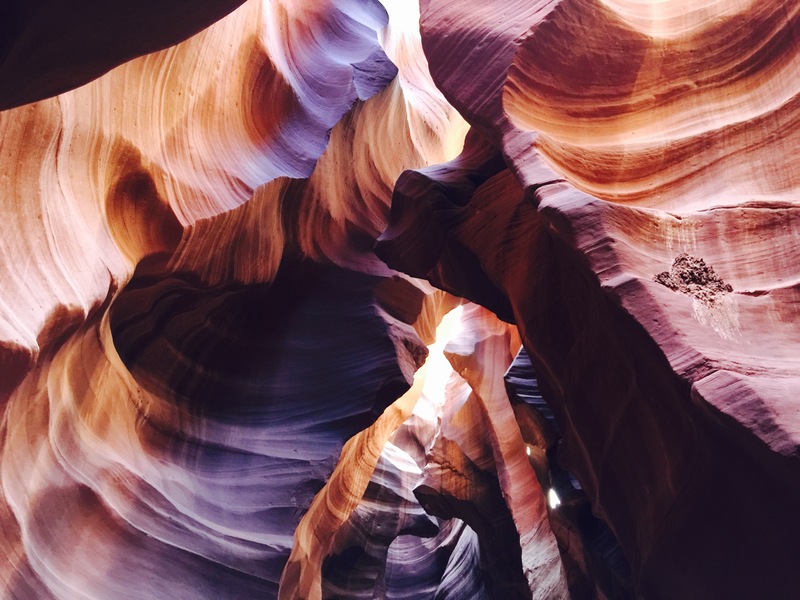 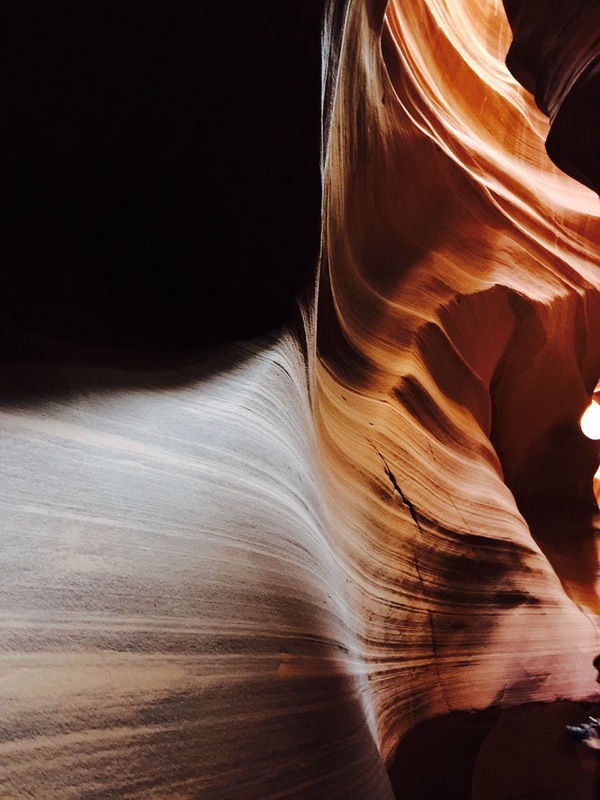 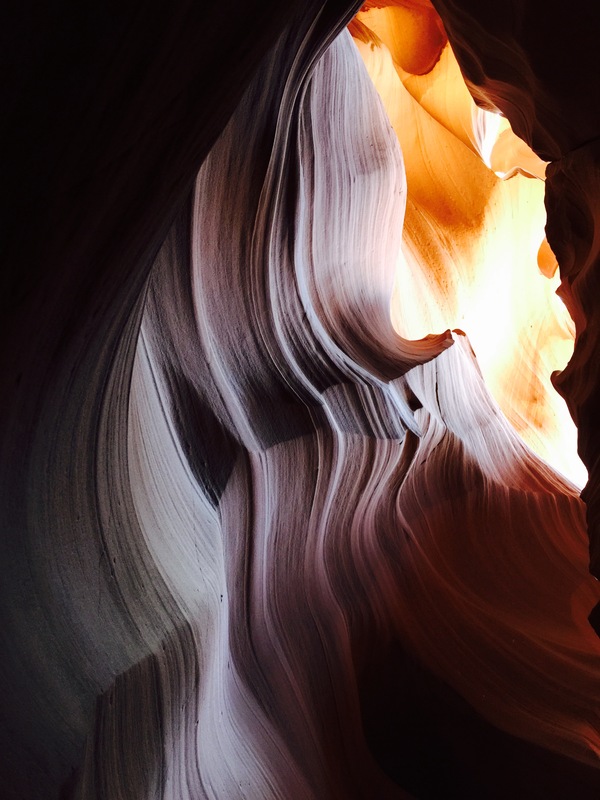 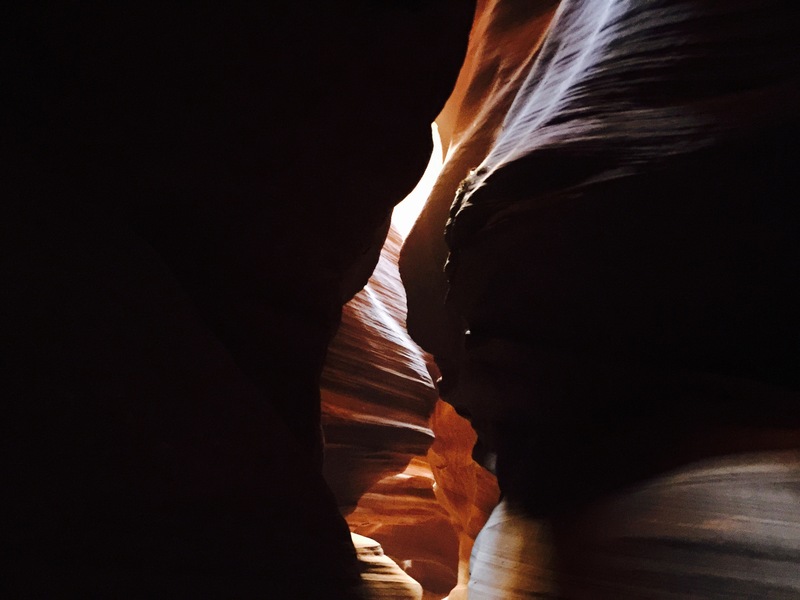 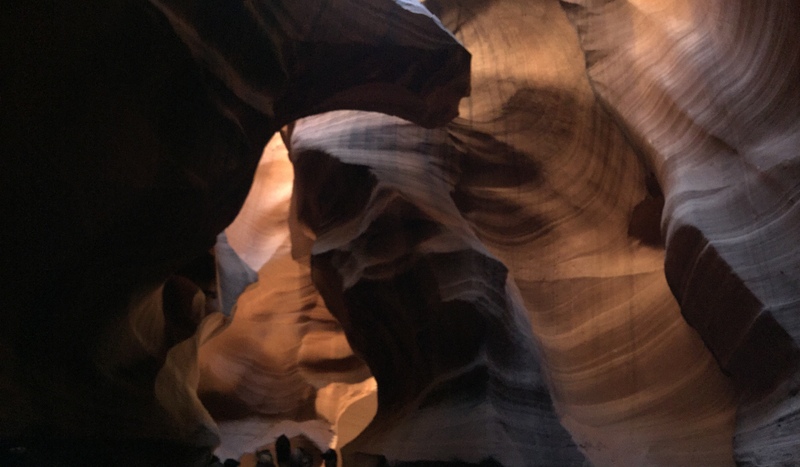 Made out of Navajo Sandstone and carved by natural erosion and flash floods the canyon is worth the trip. 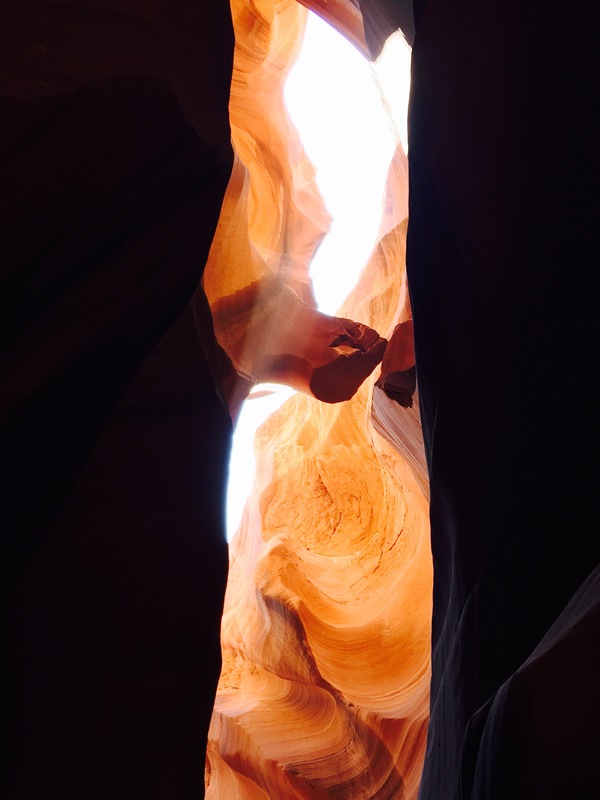 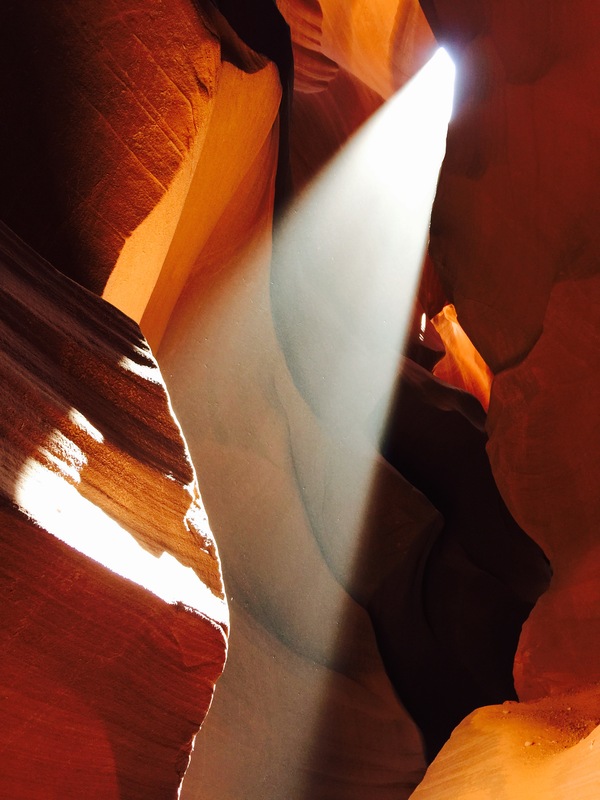 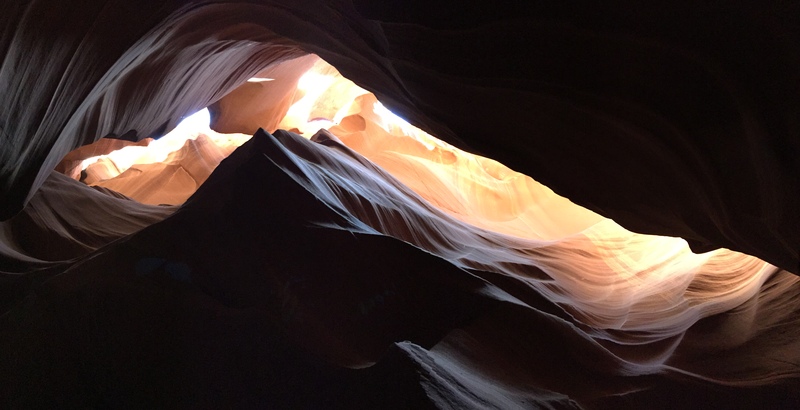 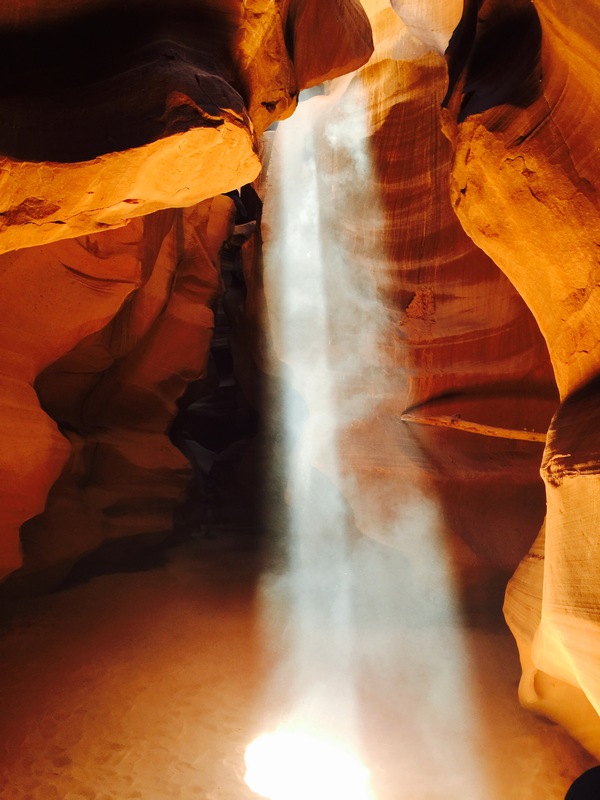 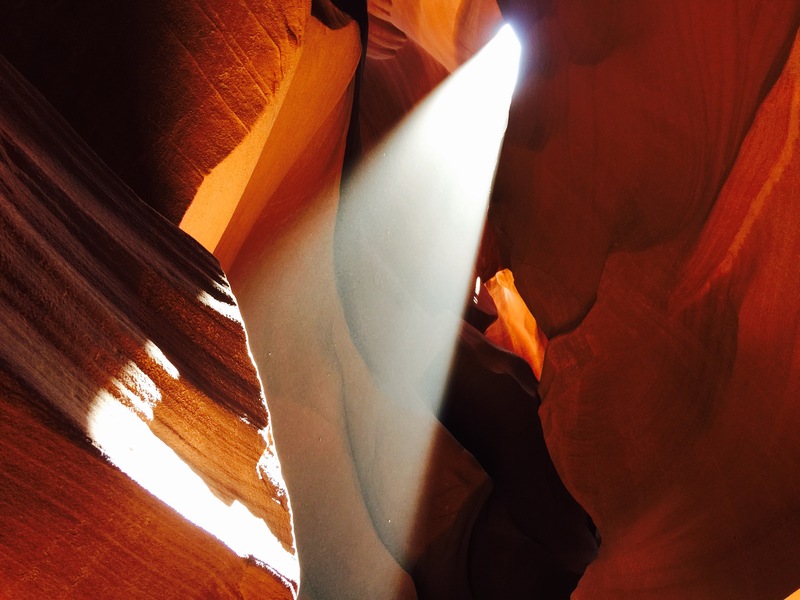 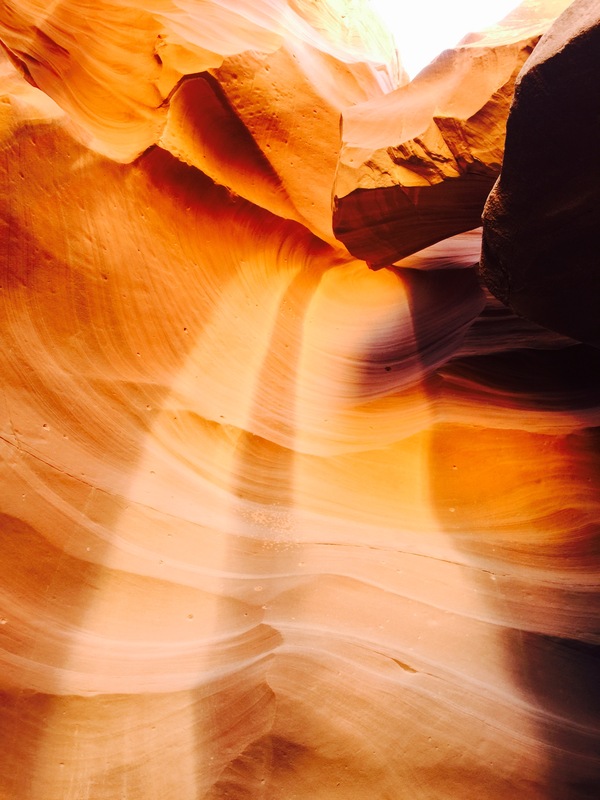 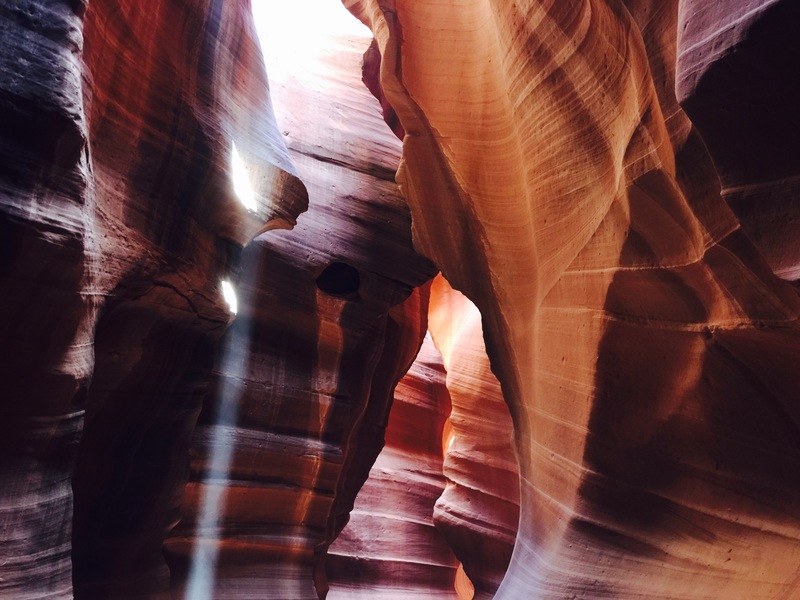 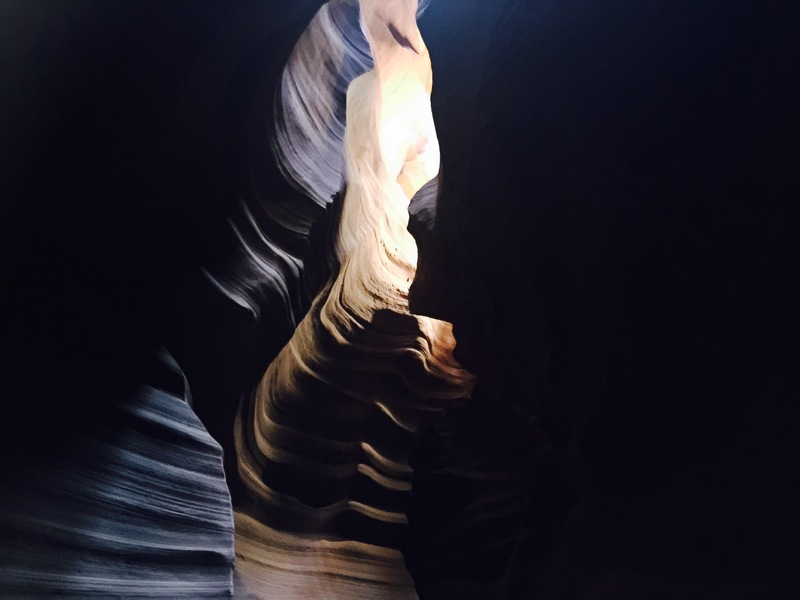 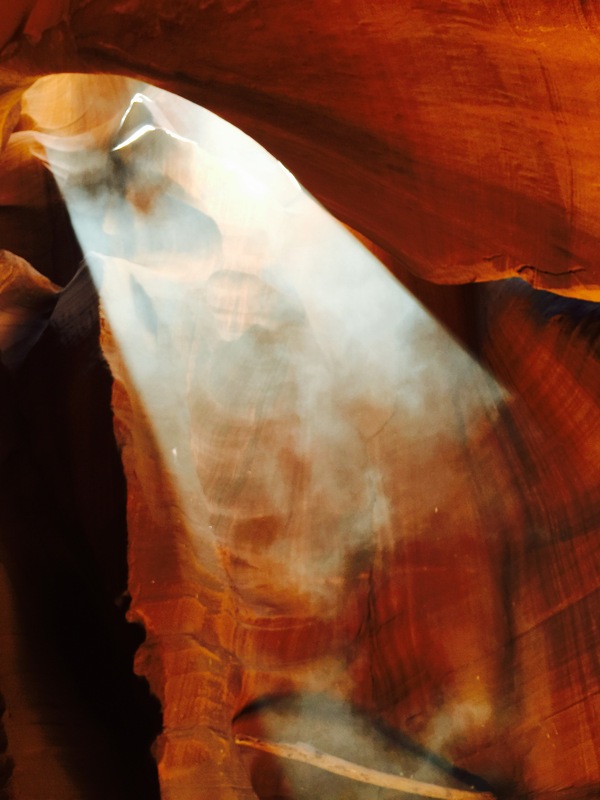 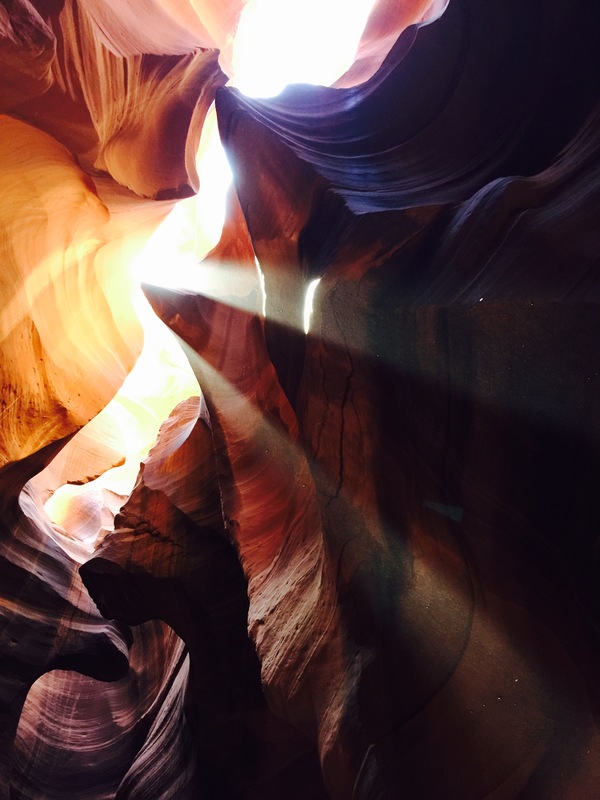 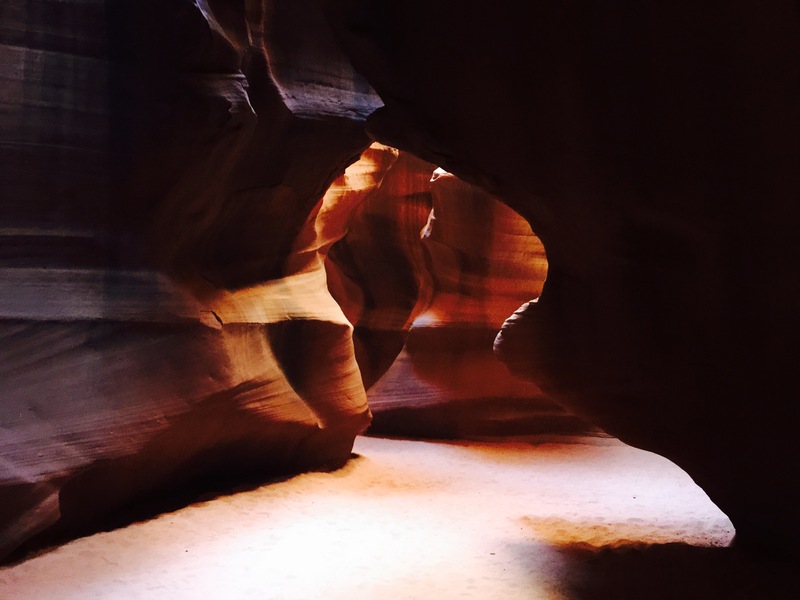 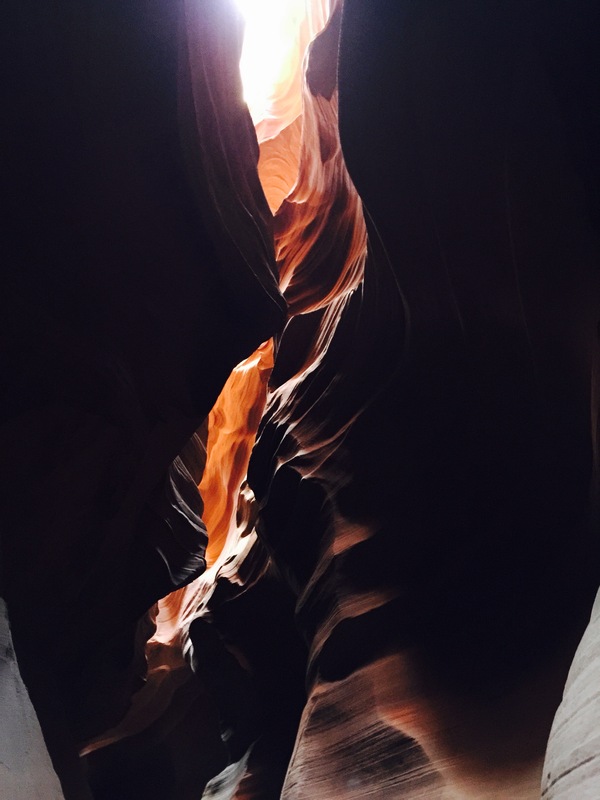 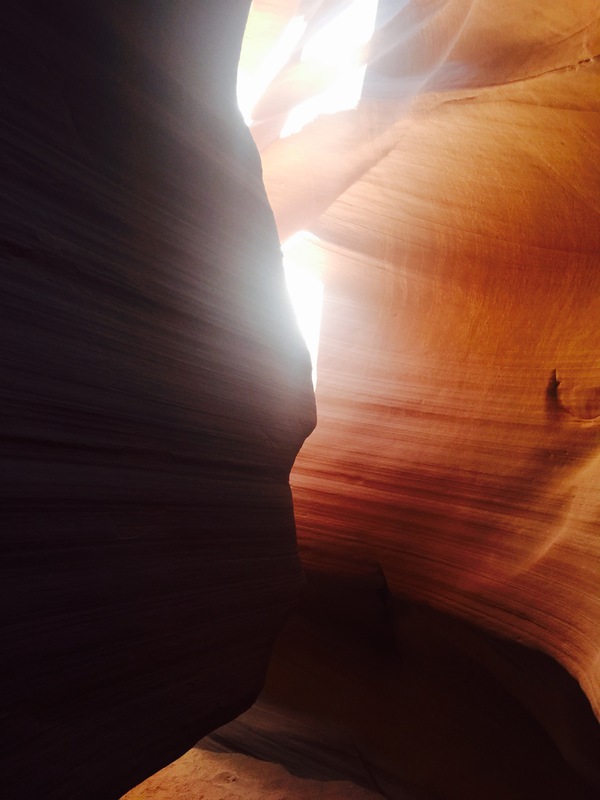 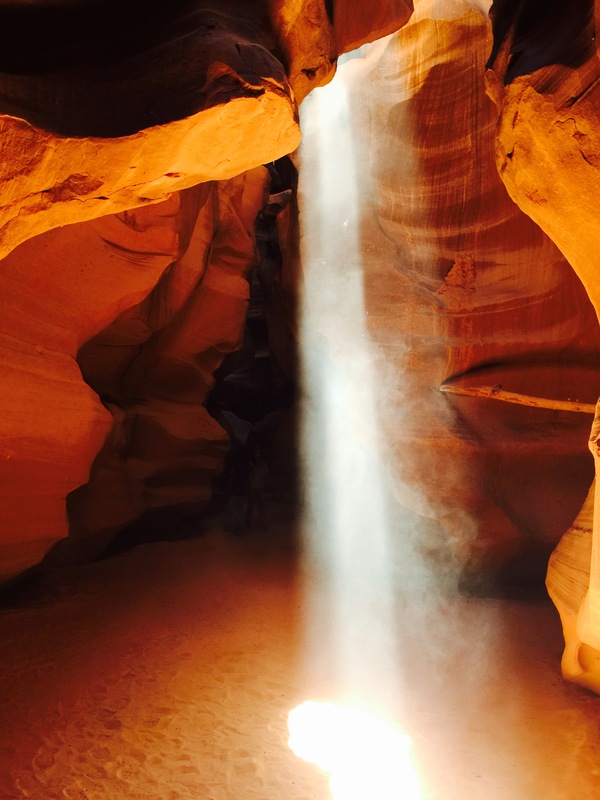 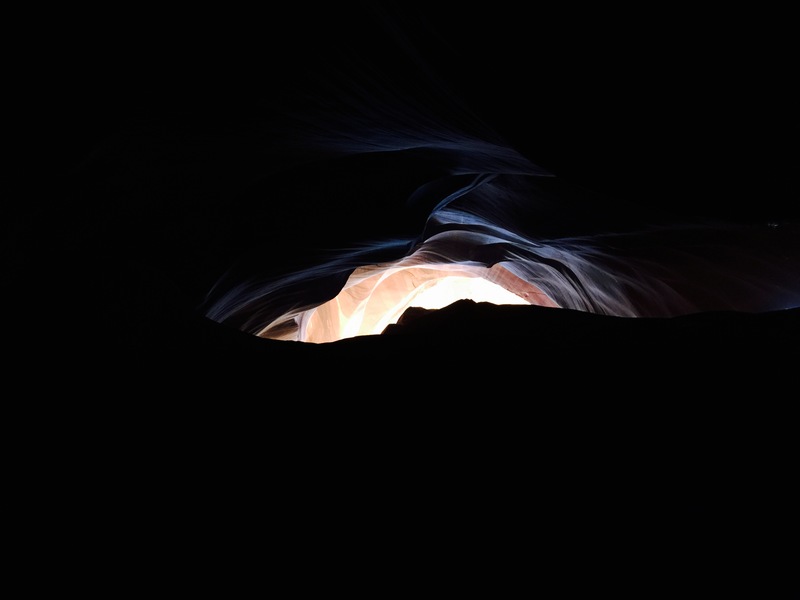 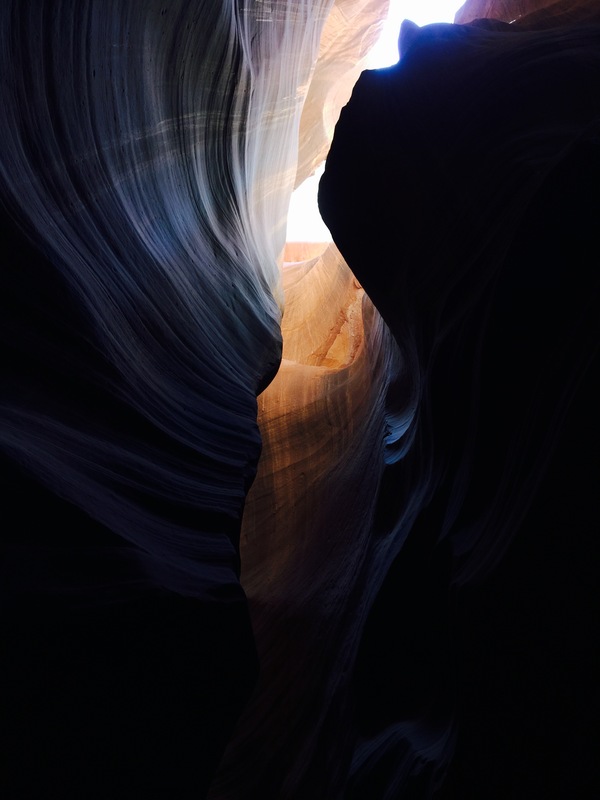 We visited in April when the famous sun beams hit the ground of the canyon. 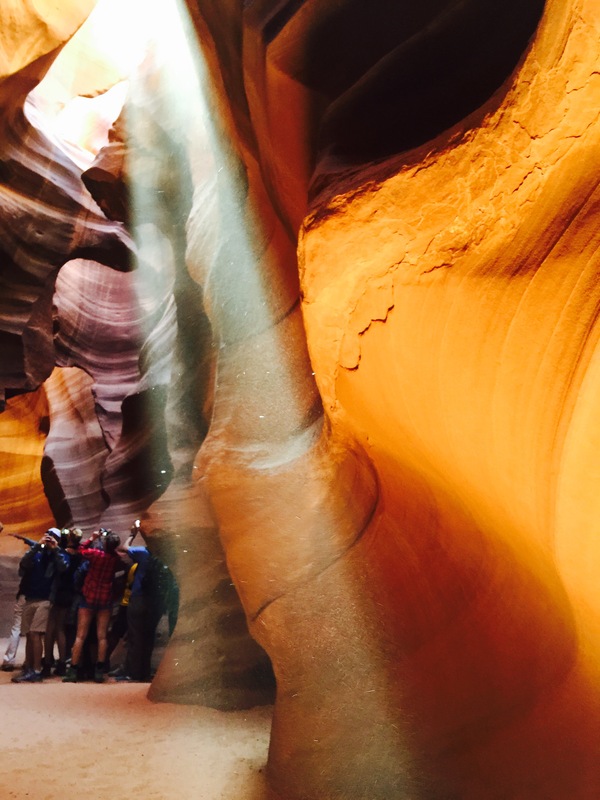 We selected the 11am tour – and yes tours are mandatory. 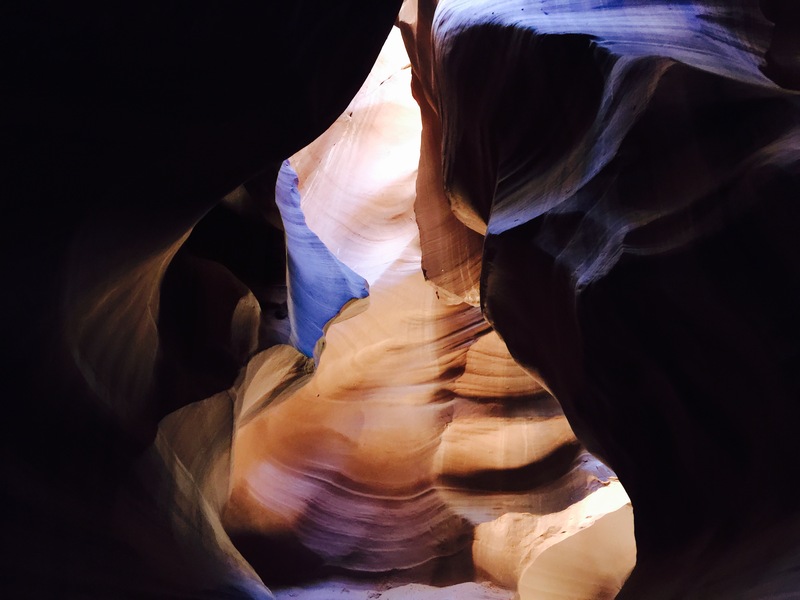 It was a bit of a circus at peak hours – next time I will go later in the day when the sun is lower in the sky and the sun beams do not reach the canyon floor. 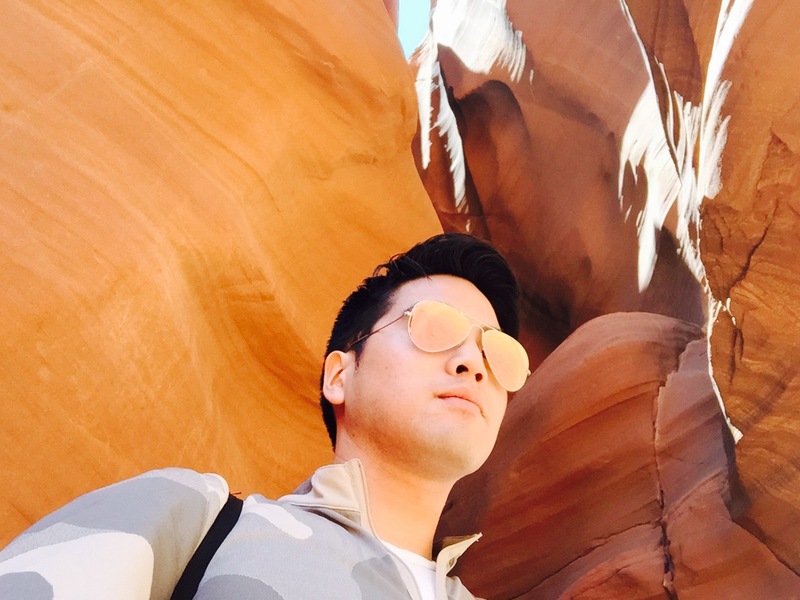 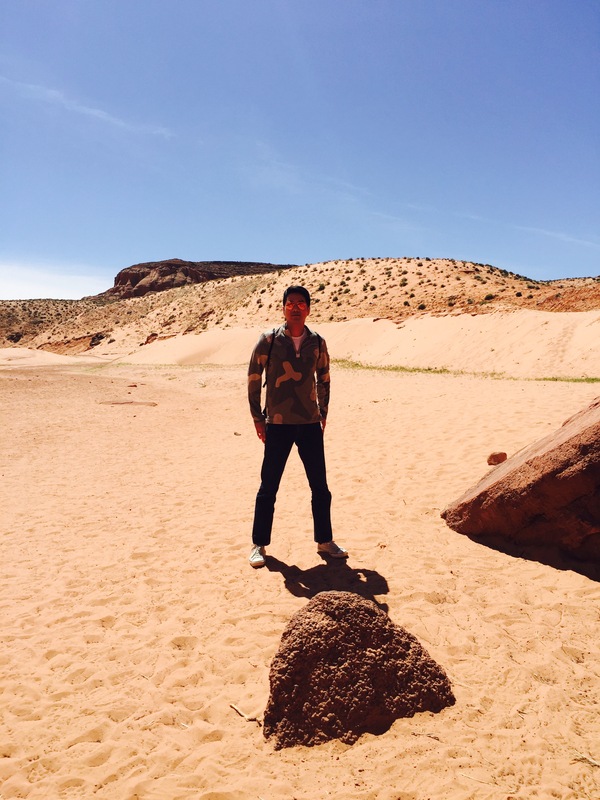 We flew in to Las Vegas stayed the night and then drove to Page, Arizona. 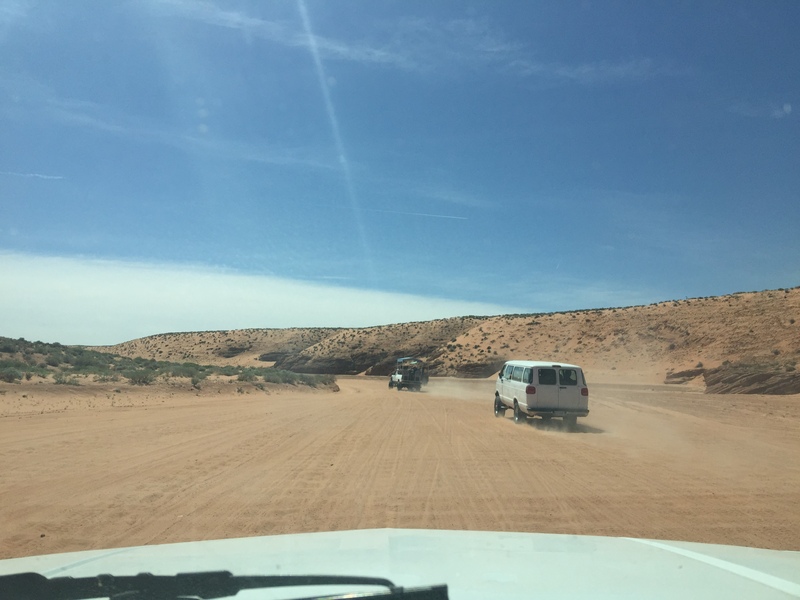 The tour starts with an off-road truck ride on a desert wash.
All photos taken from iPhone 6 plus on chrome setting.